Your favorite dress has a burn from too hot an iron or some other cause. The solution is to repair it. This is a guide about repairing a burned hole on a dress. 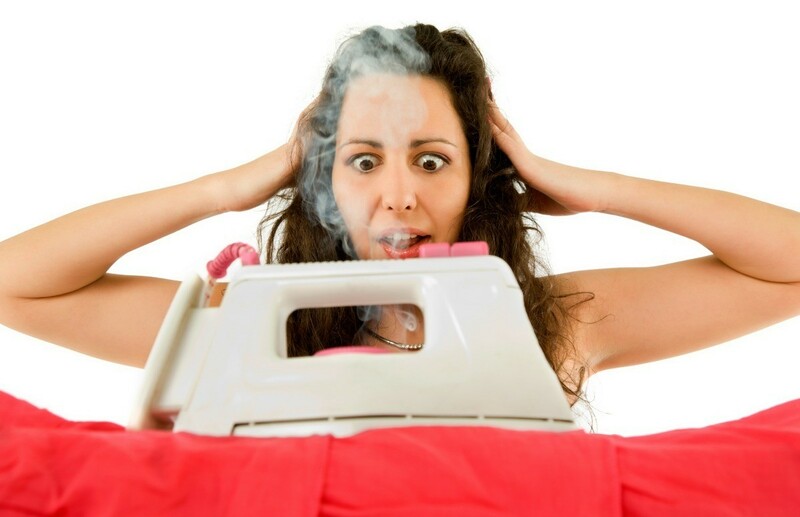 I ironed my dress on maximum heat. 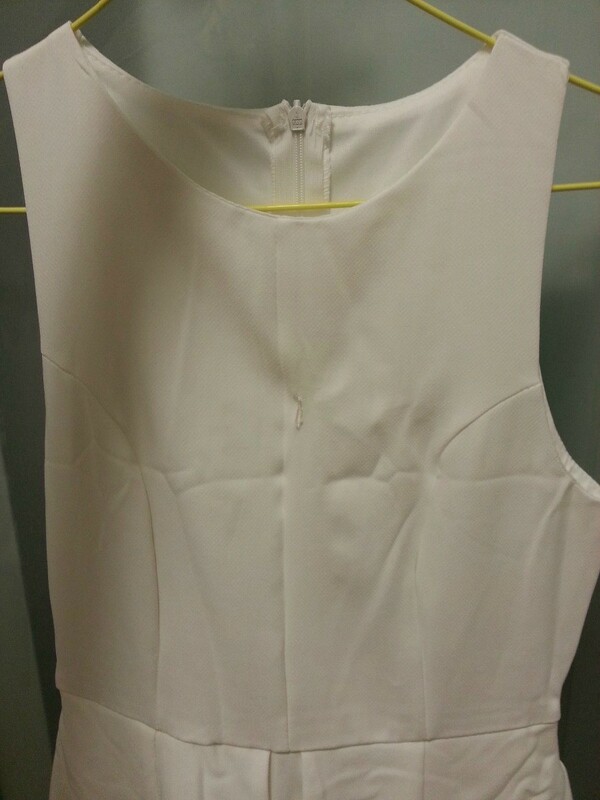 The iron stuck on the dress when I ironed it. 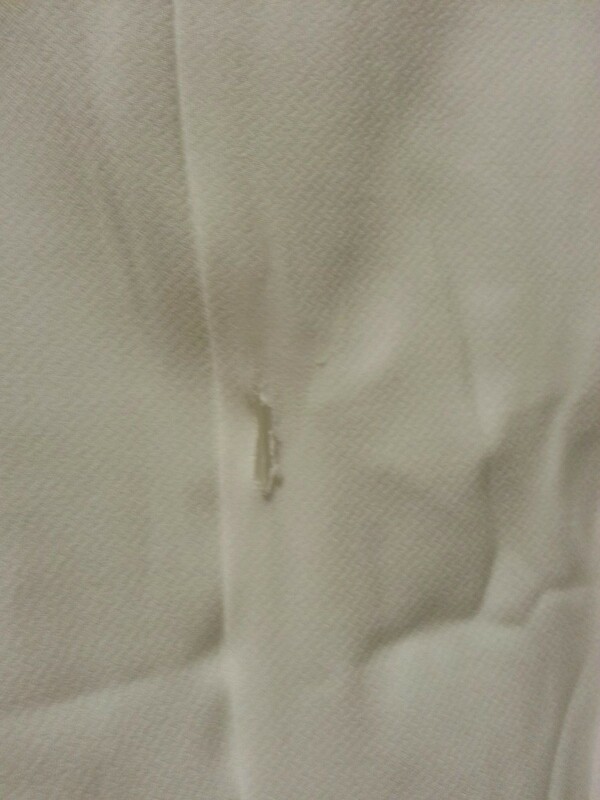 Now, there is a tear/hole on the dress. The edges around are hardened as I think the material melted. The dress is made of polyester-cotton. Can I fix it myself? If yes, how can I fix it? Also, if I would to go to a tailor, will it be able to be fixed too? Sorry to say, Lyne, there's no easy repair option. Your dress looks lovely by the way, and you may be able to fix it, but it'll mean undoing the waist and neckline seams before cutting out the damaged portion and re-sewing the front of the garment. How snugly does it fit? If you cut out that problem area and re-sew the seams, will it still fit you? Don't forget to calcuate "ease" (room to breathe and move) when you measure it all. The only other thing I can think of is patching it, and that might be an easier option. Take the dress to your local fabric store and find lace trim to match? You won't need much, just the length from your neckline to the waist seam with another inch or so for seam allowance. You might also want to consult some of the ladies who work with fabrics; they often have excellent advice and suggestions. Good luck! However, by the ladies who work with fabrics, do you mean tailors/seamstress or? That is so sad, I'm sorry that happened to you. I would probably take it to a tailor to get expert advice. I think that lace is a good idea. Best of luck and let us know what the outcome is.